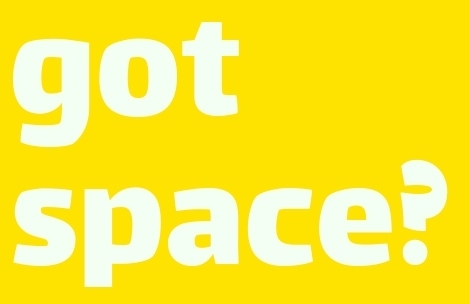 SPACE NEEDED FOR SUMMER INSTITUTE! We can offer up to $2500 for a summer site as well as other types of partnership and collaboration opportunities. If you have leads click below or contact Darcy our Deputy Director at darcy@sadienash.org. Thank you in advance! SNLP Newark Featured in National Mentoring Resource Center's Newsletter! Read more about what Kira has to say and check out the full spotlight from the NMRC: Sadie Nash Leadership Project's Nash U Reimagines Mentoring Program with Newark Mentoring Movement. What do you do in the days after a historic number of women run for office and win? You #KeepRunning! Join us for our first-ever run/walk 5K on Sunday, November 11th. More accurately, we should say join us for our first ever run/walk/SAMBA because joining us will be an all-women Brazilian drumline - Fogo Azul! Join us Sunday morning in Riverside Park - click here to join our team. Meet some of our runners! 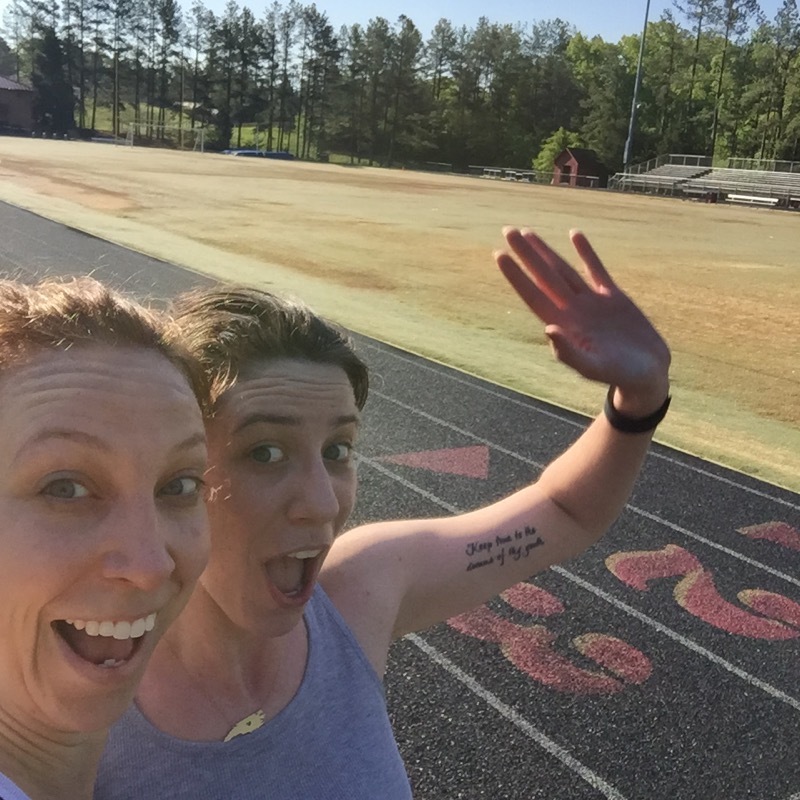 Meet Rosemary and Emily, the running sisters! "This picture is of us at our high school track, where we ran for our team 8 years apart. Now we're excited to be running on the same team again in support of the young women and gender-expansive youth of Sadie Nash. Nashers are remarkable in their love for each other and their commitment to bettering their communities through engagement, education, and compassion. New York City is a safer, healthier, more vibrant place because of their work. Thank you, Sadie Nash, for everything you do!" Meet Genesis the 8th grade math teacher in the Bronx! "I am running because it is a hobby that has grown into a lifestyle. I like running and I like the challenge of pushing myself to the finish line. I support Sadie Nash because I got introduced to the organization through a close friend and I have seen up close the impact their work has had on the lives of young women. As an 8th grade math teacher, I have attended a few training's with Sadie Nash, and I am inspired by their philosophy and commitment to empower young women of color. Running to support this organization seems like a great way to spend a Sunday morning, so it was not difficult to make the decision to sign up." 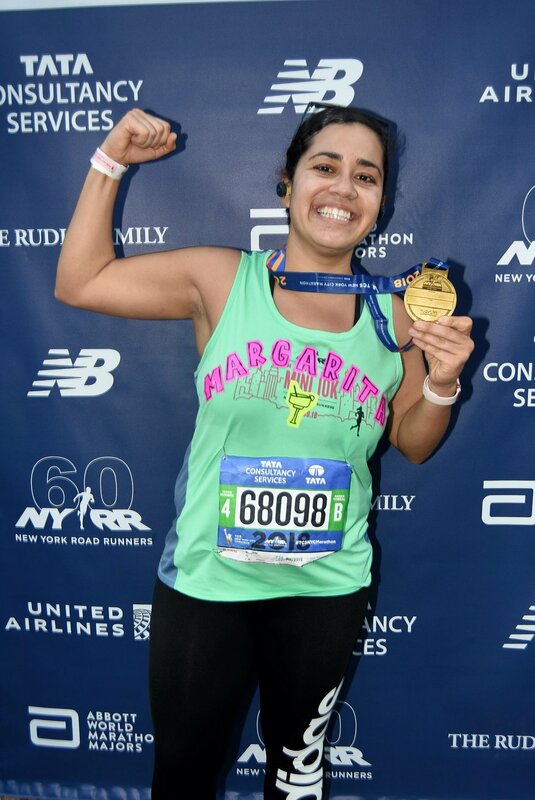 Meet Margarita, SNLP staff member and NYC marathoner! Join Emily, Rosemary, Genesis, and Margarita and the rest of our Sadie Nash team this Sunday. If you can’t make it, we appreciate your generous support. 100% of contributions go to Sadie Nash to support our leadership programming.